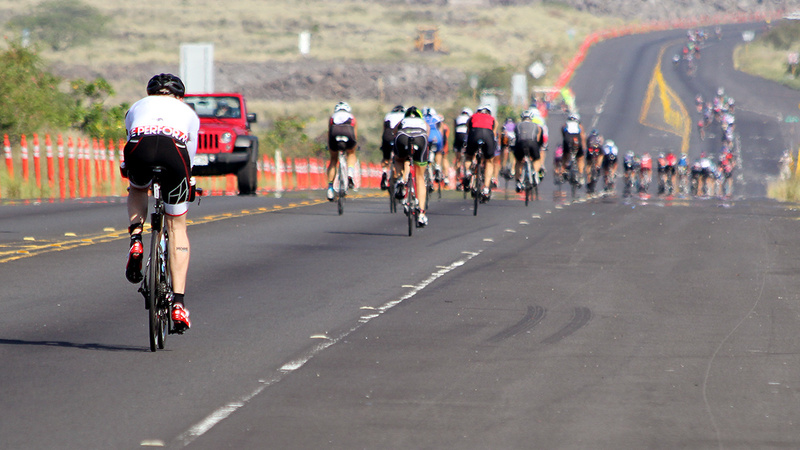 Kona is approaching fast, which means that racers are prepping for the hot, humid conditions. If you happen to live in a hot and humid area, this isn’t really an issue; the heat acclimation will just happen on its own. Everyone else will have to take some special measures to be prepared come race day. In getting ready for the heat, there are physical adaptations, and there are mental adaptations. My general philosophy is to focus on the mental adaptations, and then the physical adaptations will take care of themselves. How do we achieve this? By making heat/humidity your “new normal”. Here are some basic heat training parameters that every triathlete should keep in mind. If it’s below 80 degrees outside, you could be overdressing a bit, in order to make it “feel” like 85-90 degrees. A thin long-sleeve shirt and thin gloves would be useful in that regard. If you’re riding inside, you should still use a fan, but turn the heat in the room up to 75-80 degrees, or wear a long-sleeve shirt. Done properly, you’ll reach the point where it doesn’t seem like “heat training” to you; it’s just “training,” and those higher temperatures will feel normal. Think of it this way: you want 70 degree temps to feel chilly. When in doubt, keep in mind the standard gauge of hydration status: taking note of your urine color when you go to the bathroom. If it’s looking dark, then you’re almost definitely dehydrated, and you need to increase your fluid intake. The goal is to have pale yellow, or clear, urine. The last component to keep in mind when heat training is the sun. If you’re lucky enough to have naturally darker skin, then you’ll have a leg up on race day. Just slap on some sunscreen and you’re good to go. But for the rest of us, the sun will burn, which can create real systematic stress. You should use a zinc-based sunblock on race day, wear a hat or visor, and I’d also recommend using thin white sleeves on your arms: An actual physical barrier is the best bet for preventing sun stress. Keep the sleeves wet, and they’ll also work to help with cooling. 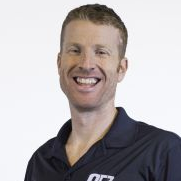 Now, I should mention a HUGE caveat, because triathletes have a tendency to “overdo” things: Heat training, while it can be beneficial in moderation, does NOT mean wearing plastic bags during workouts, or anything like that. Heat stroke is NO JOKE, and no race is worth putting your health at risk. If you have any concerns, stop heat work immediately, and talk to your doctor. The goal is to simply simulate 85-95 degree air temps, not to cook yourself. Also remember that when you’re starting up with the warmer conditions, you won’t be able to hit the wattages/paces that you’re used to. Body temperature is one of the most important determining factors in endurance performance, so if you’re overheating, that’s going to put a cap on the amount of work your body is capable of. When heat training you’ll have to be mature about it, accept that any speed decreases are due to the heat, and adjust your workout target numbers as necessary. For those of you who train with HR, I’d recommend allowing yourself about 4-8 bpm of HR drift on your typical zones. You know what you’re getting into when you go to race Kona. The heat is going to punch you in the mouth—but whether it happens in training or on race day is up to you.